These are some of the top blogs people visit every day. Now days if you don’t write unique article and just same old stuff you blog is no where going from a stand still. Not only this, now do a day’s readers need more than just simple stuff on blog. To make your blog more and more read by your loyal readers as well as new visitors you got to keep your article up-to-date as well as always fresh. In blogging, you have to post first to be the first. Each blogger have in mind to come up with a new unique idea but at the same time others are thinking the same thing, it’s all about whom think it first and publish it. Most of the bloggers are still searching “How to Be a Successful Blogger” ok today I am going to tell you some of the Tactics that you can apply to your blog for quick result on Ranking in Google search engines. Yes, keep a regular visit to the blog you want to beat. By this you can always keep watch on what’s the blog is updating and how audience is responding to it. The audience can reveal many things about your rival blog, so make good contact with them. Yes, alexa ranking is good to keep track of your blog how it’s doing in your local country. As most of the blogs are universal they count rankings in US but a good blogger is the one who keep track of its ranking in its local country. 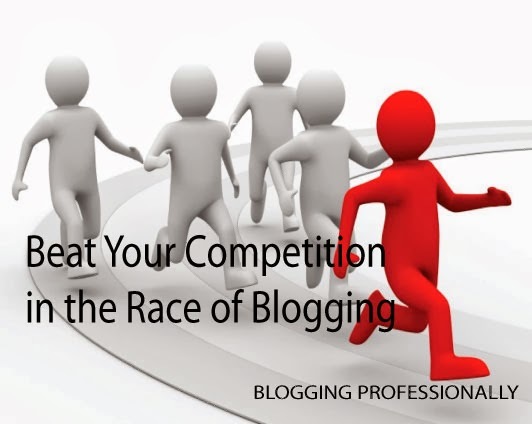 These are the best effective way to beat your competition in 2014 as its going to be a very tough year for bloggers in earnings as well as rankings in Google Search engines. Off Page SEO Sayaltechnologies.com providing SEO services including On Page SEO, Off Page SEO & Link Building Service with affordable prices. It will improve organic ranks and traffic.